The five-star InterContinental London Park Lane is situated between Mayfair and Knightsbridge in view of Buckingham Palace. Set on the ground floor is the visually stunning Wellington Lounge, with a view of London's Wellington Arch promised from every seat. 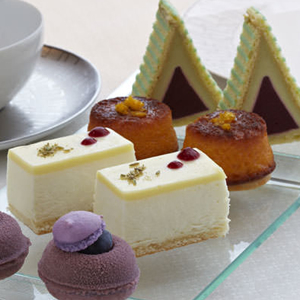 The Wellington Lounge is also the place to indulge in a new Afternoon Tea menu that cleverly evolves with the seasons and always brings to Park Lane the best products within the British Isles. This hotel has been awarded 'The Tea Guild special Award of Excellence 2013' in recognition of its outstanding quality and consistently high standards in Afternoon Tea service.